Help You "Jump Start" Your Business! Sterling Fitness helps to save you money! 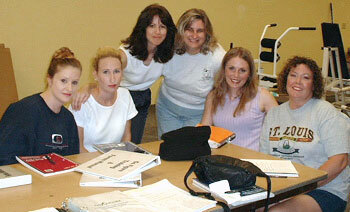 Most workshops are conducted at far-away training centers at your expense! When you purchase a Circuit Training Package with Sterling, you can begin your training course at your convenience. Your passcode to training arrives once your equipment is put into production. If you are seriously considering opening a women-only or co-ed fitness gym, give us a call today. We'd love the chance to share with you the joys of owning your own business and talk with you "one-on-one" to help you determine which products and packages are right for your club. Membership Packages / Booking Appts. This is a Sample Itinerary Only - Scheduling May Vary.